A website is like a shop window for your company or organisation. Over 85% of business and individuals use the internet to search for the services or products they are looking for. 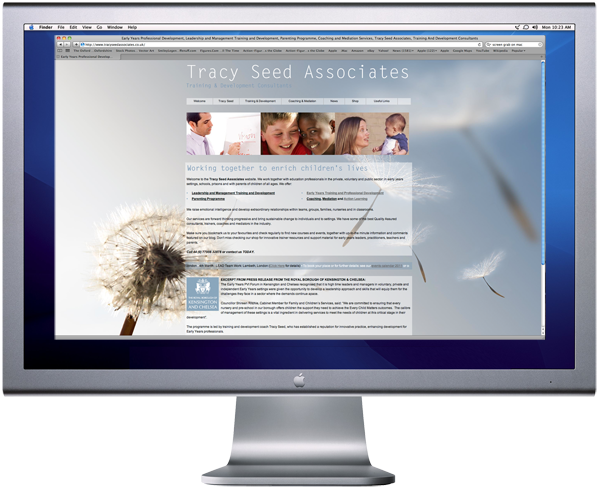 If you want to promote your company or organisation to them you need a professional website. A website is the best advert you will ever have. It works for you twenty four hours a day, seven days a week, fifty two weeks a year promoting your services, your skills, your products, your news. Reaching as many existing and potentially new clients is key to a business competing in its marketplace and in the current economic climate this is more important than ever. To use this new promotional tool as effectively as possible you need a web site suited to your requirements. We can create, implement and manage eyecatching web sites to enable you to communicate with your existing client base, attract new custom and do business on the web. Prices start from just £75 per page (for a five page site, not including domain name or hosting) so this is a very cost effective way of promotion. Click here to see some of the web designs Allsorts Design has produced for its clients. Click here to see some of the web banners and animations Allsorts Design has produced for its clients.